……………is just a stone’s throw from Lytham Piazza (Clifton Square) and well worth seeking out. 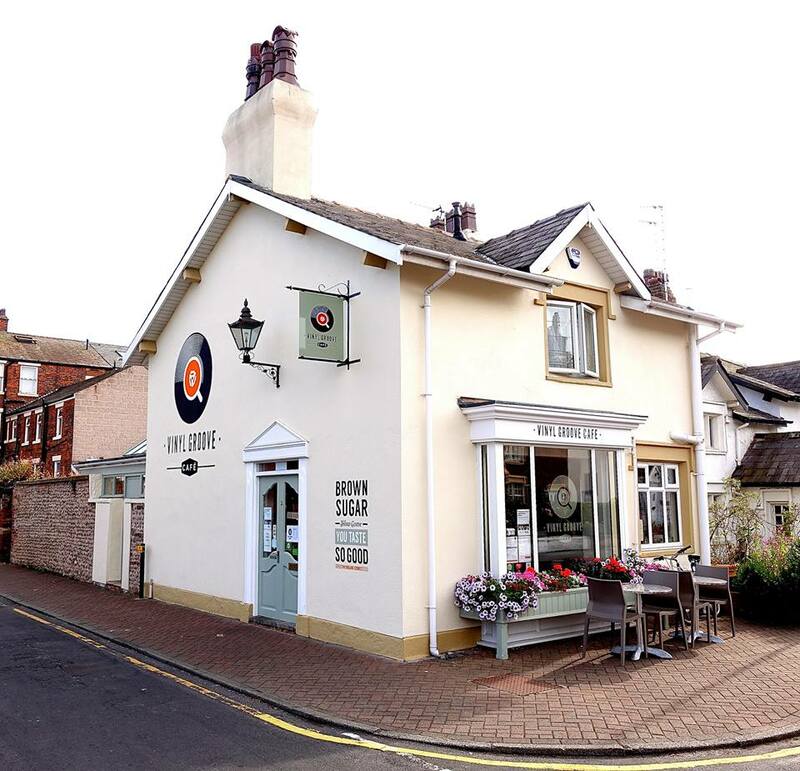 The combination of great food and great music is inspired by Ian (the owner) who has thrown ALL of his passion of vinyl and great sound into the mix as well…. 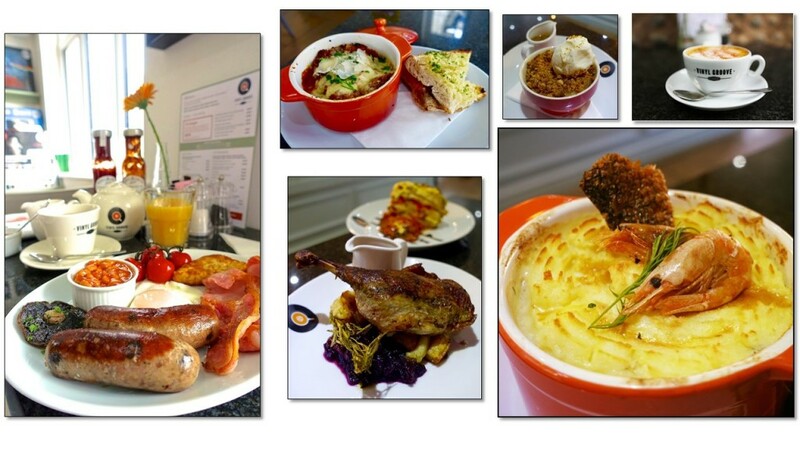 Serving some tasty menu staples including, breakfast dishes, sandwiches, fabulous specials and homemade cakes. 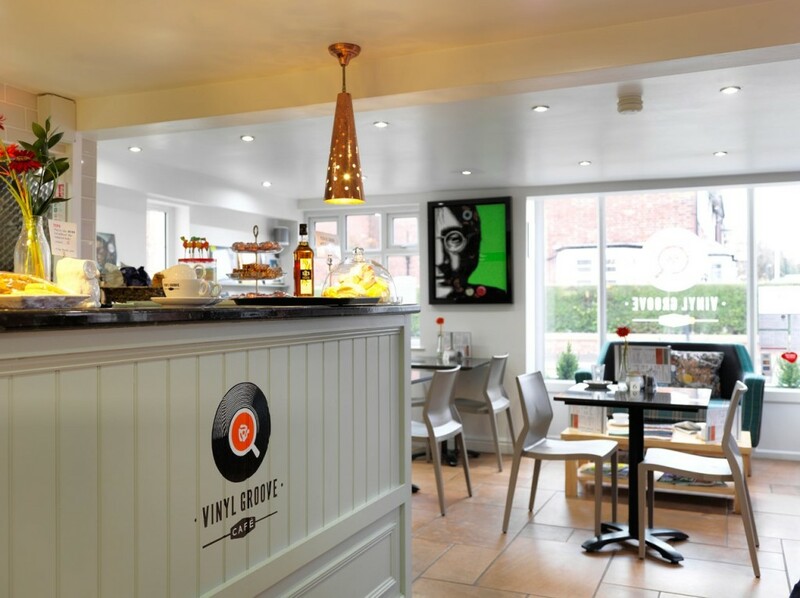 Vinyl Groove Café is the only café in Lytham using a ‘retro lever’ espresso machine, producing some of the best tasting coffee in town. Plus while you are relaxing enjoying the ambiance you can browse the eclectic mix of new vinyl on sale and view some unique vinyl themed art too. You can choose to sit on a comfy sofa, or traditional seating or in lovely enclosed patio on a sunny day. Vinyl Groove are working hard to develop and expand their Gluten Free & Vegan options too. 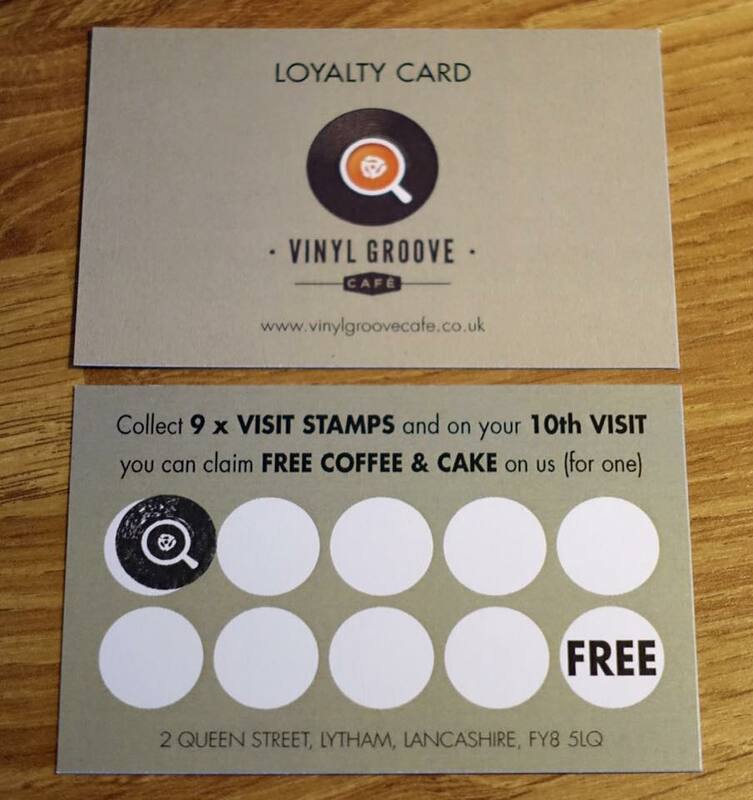 Next time you are there remember to pick up one of the NEW loyalty cards!